That’s right. 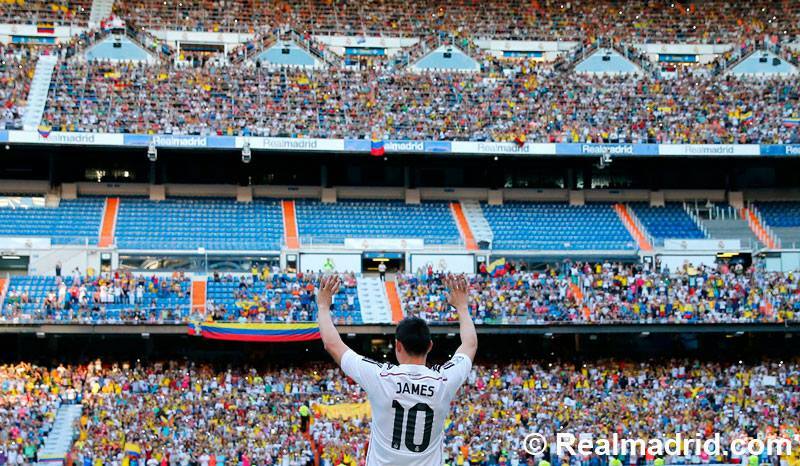 Our beloved little James Rodriguez, a youngster of only 23 years, has sealed the deal with Champions League titleholders Real Madrid for the upcoming six seasons. We all knew it was coming, but nothing was official OFFICIAL yet. However, this morning I woke up and my news feed was flooded, and I mean FLOODED, with Real Madrid’s announcement of James’ move from Monaco to Madrid. And, goodness gracious, he cost an arm and a leg…$108 million, making him the fourth most expensive soccer player in history. Guess who has three of the four most expensive players? You guessed right. My question is, where are they gonna put him? 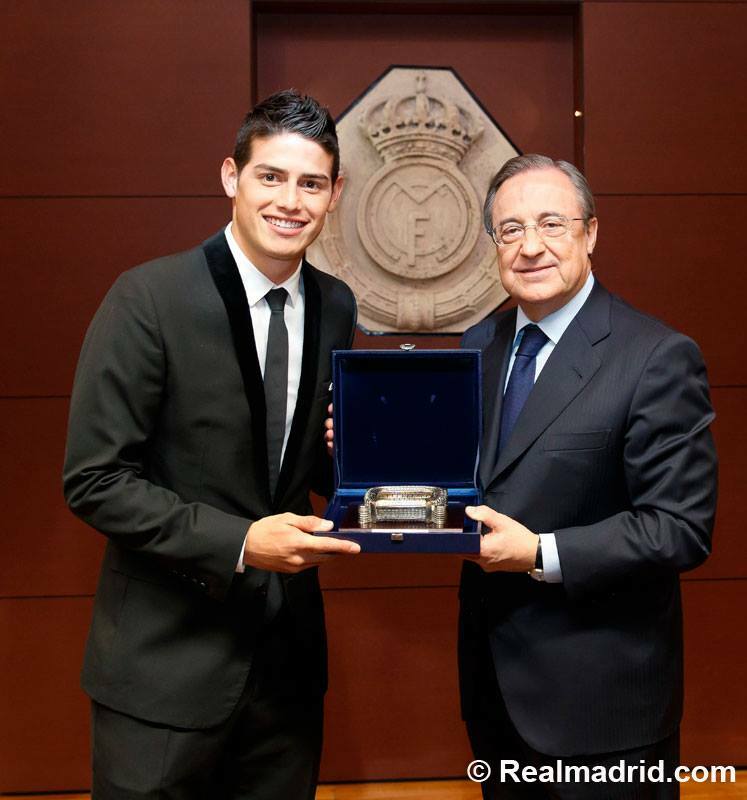 Florentino, can you explain this to me? Check out the pics from his presentation. I can’t type much; I worked out my arms at the gym today and now I can barely move them. Is that a wedding band? Look! 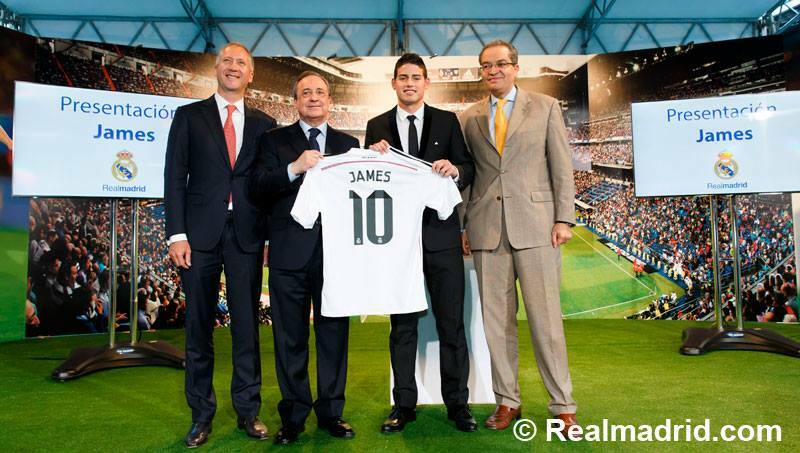 His shirt matches with the number of Real Madrid’s Champions League titles!